5つ星のうち5.0The best 5.1 musical experience! 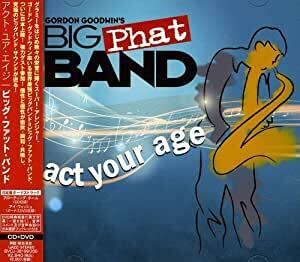 This 2 CD set of Gordon Goodwin's Big Phat Band "Act your Age" comes with a regular CD and a 5.1 Dolby version. The 5.1 disc has the best sound quality that I've ever heard in a 5.1 Dolby recording or any other sort of recording for that matter. Playing this disc is not a normal "stereo" listening experience or even like anything that I've have heard before. The recording arrangement of the microphones puts you in the middle of the action! In other words, you hear what you would hear if you were right smack dab in the middle of this awesome big band. I'll admit that this effect can ruffle one's predetermined stereo concepts. Now if you can, imagine that all the speakers disappear (yep, all 5.1 of them), like they can when you have a very good quality stereo system. With this disc you get the same effect as "disappearing stereo speakers" except you are immersed in the center of the 5.1 action. I wouldn't believe that this effect was possible if I didn't experience it myself. And it's a screaming deal for $12.99 at Amazon Prime. PS: Results may vary depending on the quality of your system. 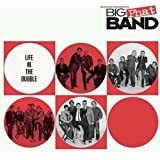 A first encounter with a contemporary big band invites comparisons to similar ensembles of recent decades. 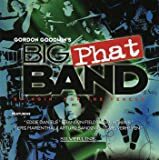 After briefly toying with the notion that the Big Phat Band sounds like a cross between the Thad Jones-Mel Lewis band of the early 1970s and the Saturday Night Live band, I concluded that such comparisons were pointless - this group is not trying to sound like anybody but themselves. Goodwin's arrangements keep things interesting for the performers and the listeners. For example, I've heard Herbie Hancock's "Watermelon Man" so many times I've grown tired of it, but this swinging arrangement gives it a whole new life. Also, this band can play rock-influenced jazz that really works, outshining other big bands that have made less successful attempts at this genre. Some of the tracks feature guest artists such as Chick Corea, Lee Ritenour, and Patti Austin (the latter on the CD's only vocal track, "September"). Good stuff, but the band doesn't need their help to sound good or draw an audience. However, one guest is particularly interesting: Art Tatum. Wait a minute - hasn't he been deceased since the 1950s? 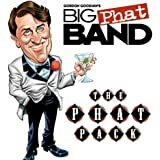 How could he be sitting in on "Yesterdays" with the Big Phat Band? Be sure to listen to Goodwin's commentary for that tune on the DVD to find out how Tatum was digitally resurrected. Speaking of the DVD, it's a great bonus for the surround-sound concert videos alone (three tunes). 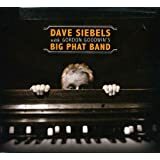 But check out the other features too, especially the preview of some emerging jazz stars in "Big Phat Jam Winners." 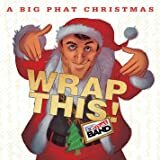 Over an hour of fresh and versatile big band sounds, plus DVD extras, make this a great entertainment package. Every time Gordon releases a new CD project, it soars upward from the last. I keep thinking that it can't get better but it does! One that is fantastic is "Backrow Politics"---the trumpet section just goes nuts! It's a great chart and those four guys make it happen. Seeing it in concert is amazing! This is the best big band in the land! Maybe ever! This release also has three songs recorded live (DVD) in New Hampshire last year and they are fabulous! Their newest effort is another "DO NOT MISS IT!" Thanks Gordon and all the rest! What a treat! 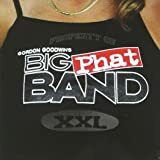 Gordon Goodwin's "Big Phat Band" is absolutely the very best in contemporary jazz. Everything is superb - the arrangements swing and each musician is a virtuoso with his instrument. I couldn't recommend more highly anything this group produces. 5つ星のうち5.0Act Your Age--Gordo's music is simply great! 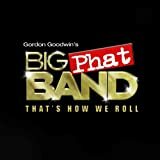 I have only come across Gordon Goodwin and the Big Phat Band's music earlier this year and as a big band jazz fan, I am blown away! The quality of his recordings are unsurpassed and the superb arrangements and melodies make you want to listen to his music over and over. It does not matter what record you buy, because they are all top notch! I now own five of his recordings including the excellent "Act Your Age." Gordon has amassed and retained a fantastic roundup of musicians who are most enthusiastic either in their solo or ensemble playing. As an added bonus, many of his recordings include a DVD version that includes lots of content, including Gordon's poignant narrative regarding the songs, arrangements and players. Keep up the good work and I'll keep being a Big Phat Phan!